What’s the Difference Between UX Design and UI Design? If you’re a creative type who loves work that leaves you feeling fulfilled but still wants to actually get paid, good news—tech is for you! But where exactly do creative jobs and the tech industry intersect? UX design and UI design are two tech fields that are ideal entry points for creatives, especially those who love working on people-first projects. 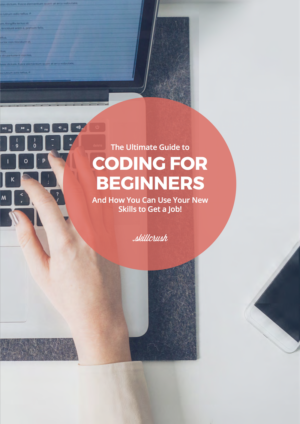 This guide will break down both jobs and show how each one can lead to flexible, high paying, creative work in tech. 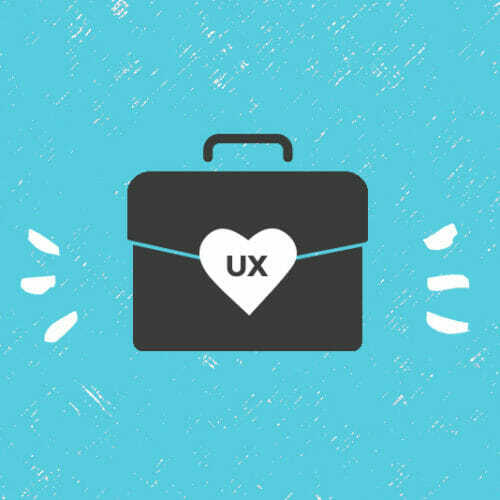 And if you want to know more about exactly how to land a job and start a career in UX UI, be sure to download our Ultimate UX Job Search Toolkit from the forms at the top or bottom of this page. 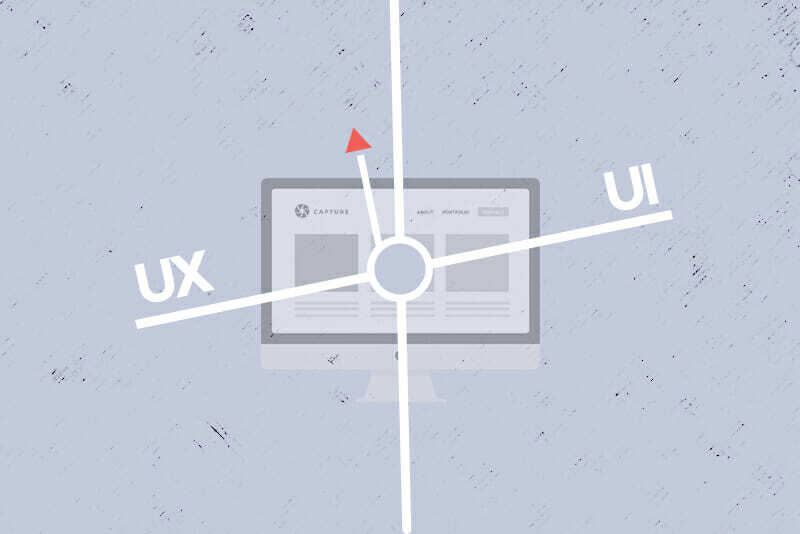 Before getting into the specifics of each field, it’s important to clarify that—while you may hear both terms used interchangeably—UX and UI are two distinct job categories (granted, with a lot of overlap). So, what are we talking about when we look at UX versus UI? 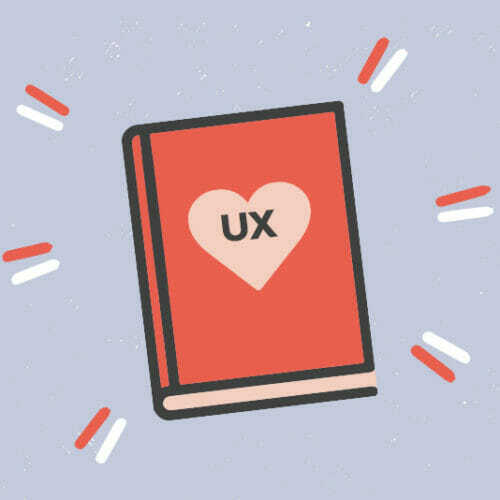 UX (a tech acronym for “User Experience”) is a tech field that researches the user base of digital products (like websites and apps), tests these products with representative users, and applies those test findings to improve the experience people have with finished versions of the products. This “experience” includes the way a digital product “feels” to a user while they navigate it, the way the product makes them feel as they use its different features, the ease of product use, and how appealing the user finds the product overall. Far from coding-heavy tech jobs like web development, UX jobs are more centered on being a good listener and having the creativity and critical thinking skills to incorporate what you learn from user interviews into the overall product experience. It’s also important to note that—while UX is sometimes referred to as UX design—the “design” part of the name can be a misnomer. In user experience work, “design” is only one part of the job (more on this below). Also important to stress: you don’t need a traditional design background to work in UX. While UX deals with the overall aspects of a brand and product experience, UI (tech speak for “User Interface”) can be understood as a subset of, or compliment to, the bigger UX picture. As its name suggests, UI design takes the principles of UX and applies them specifically to a product’s interface (a website’s or app’s menu, layout on the screen, sitemap, form placement, etc). Because of this focus, UI design is more similar to traditional web or graphic design jobs (but with a few added twists that we’ll cover below). What Do UX and UI Designers Do? Since the definitions of UX and UI alone can feel nebulous, it’s helpful to take a look at what UX and UI designers actually DO (and the skills they need to do it—skills we cover in detail in our UX Designer Blueprint). Personas are fictional user profiles used to model user groups a product is being built for. These profiles are created through research data like demographic information, interviews with test users, and customer experience metrics (search terms used to locate a website or app online, links frequently clicked on by specific customer types, time spent viewing site pages, etc).UX designers use these personas to dictate product features and UX design choices based on what would appeal most to theoretical users. Journey mapping is a technique that involves creating a visual representation of user’s “journey” with a product. The user journey model is based on same kind of data and metrics used to creature personas. The typical user journey begins with a first product engagement (e.g. a user’s first visit to a website after finding it through a Google search or a Facebook post) and (best case scenario) leads to a long-term customer relationship with a product.This visual chart of the customer’s experience trajectory (based on UX research) allows UX designers to identify how users engage with a product, what user needs emerge at different parts of the customer journey, and how deep of a gulf exists between intended and actual user experiences. Design Ideation is a fancy term for “brainstorming,” which is what UX designers do with the results of their research. After analyzing a product’s current user experience and defining the ideal experience based on user feedback (using tools like personas and journey maps), UX designers put themselves in the user’s shoes and begin brainstorming ways to implement necessary product changes.This brainstorming can be done alongside clients and product stakeholders, and is the first real “design” step of UX. UI designers will execute a similar ideation process for interface designs, also based on data from UX research. After using UX research to develop an overall strategy for improving a product’s user experience, UX and UI designers need to start crafting and implementing their design—overall experience design in the case of UX, and specialized interface design in the case of UI. Navigation and Layout Best Practices are essential to both UX and UI design, but really take center stage when it comes to UI (everything about a user interface is based on and informed by its navigation and layout, which in turn reflects the overall experience of the product as a whole). Just like traditional design elements like color and typography are a combination of personal preference and design science, UX and UI have some objective best practices based on design theory.This UX Planet article, for instance, gives a look at five basic UI patterns that are considered fundamentally sound building blocks for UX UI design. Understanding these best practices and incorporating them into your own UX UI design is a crucial part of being a UX or UI designer. Wireframing is the process of creating visual models (wireframes) that map out the basic structure of a website or application. These models gives UX and UI designers the opportunity to plot out key site elements—things like big picture brand experience strategies for UX designers (logos, color palettes, and content choices), and page layouts for UI designers (sitemaps, positioning of on screen menus, inclusion of interactive forms, etc).In the early stages of designing a product experience or interface, wireframes are a low stakes way of sharing design plans with clients, users, and stakeholders (as opposed to creating a full product iteration). Prototyping is the next step up from wireframing. Prototypes are a more fleshed out website or app model, building on basic wireframe concepts and giving users a sample version of a product that they can interact with. Like wireframes, prototypes are lower stakes than a full product release (in terms of the time and cost), but closer to an actual release for testing purposes.Depending on how close a product is to release, prototypes can be as simple as a paper sketch or as realized as a fully functional online model. Similar to wireframes, UX designers will focus on prototypes as a model for a product’s general user experience, while UI designers will use them to model and test the efficiency and attractiveness of their interface design. All of a product’s UX research and UX UI design modelling eventually culminates with the release of a finished product. However, UX design is a dynamic, ongoing process, so it’s important to keep in mind that a “finished” product doesn’t mean a “final” product. A finished version of a website or app simply means an officially released version that’s accessible to the public. But UX and UI designers continue to test their products even after a release. The user data they collect from a finished product can then be used to improve on that product and create an even more refined experience and interface in the next release version. Product iteration testing usually takes two forms. Usability testing is a method where users are asked to try using a product version. UX designers then observe and analyze how easy and enjoyable it is for users to complete specific tasks with this particular iteration. This gives UX designers a chance to witness firsthand how a user experiences a finished version of a product and what can be changed for future iterations. A/B Testing involves exposing test users to a product iteration (version A) alongside a version with slight design variations (version B) and observing which version the user base prefers. User preference can be measured through a metric called a “conversion rate.”Conversion rates reflect the number of website or app visitors who take a desired action during their visit (e.g. purchasing a product or service, signing up for an email list, or subscribing for a paid membership). By comparing iteration A with variant B, UX and UI designers can understand which parts of their current product version resonate with users and which parts can be improved upon. What are UX and UI Designer Salaries? 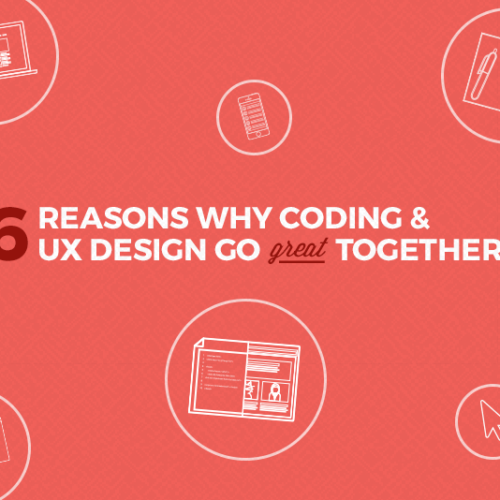 UX and UI design sound like compelling ways to work creatively in tech, but do they pay well? And do these jobs actually exist? The answer to both of these questions is an emphatic “yes!” UX and UI design are relatively new career paths (which is why you might not be familiar with them), but that also means the demand for UX and UI positions is only growing. Alison Sullivan, Career Trends Expert at jobs and recruiting site Glassdoor, previously told us that UX design is now an integral part of product development no matter what industry you’re in. UX design jobs ranked #27 out of 50 among Glassdoor’s recent Best Jobs in America report, a claim that’s reflected by Glassdoor’s own job listings. As of this writing, Glassdoor has over 7,000 UX designer jobs posted on its site, and nearly 9,000 UI designer openings. Meanwhile, Glassdoor currently cites an average base salary of $107,880 for UX designers and an average base salary of $86,883 for UI designers. That’s some pretty serious creative pay. UX or UI—Which Job is Right for You? Now that you know the difference between UX and UI design (as well as how both jobs can overlap), you might be wondering how to figure out which role is right for you. One way to look at it is to consider how much the “design” aspect of UX UI appeals to you. If you come from a traditional design background or have a particular interest in design-specific work, specializing in the UI might be a perfect fit. Meanwhile, if the more theoretical research and problem solving of UX appeals to you, then you’ll probably want to gravitate toward UX design. But here’s the thing—you don’t HAVE to anchor yourself to one option or the other. By learning the overall UX skills featured in our UX Designer Blueprint, you’ll put yourself in position to work anywhere on the spectrum of UX UI. What’s more, many employers mix and match these two fields. In the wild, the definition of UX and UI is rarely as clear cut as presented in this article, and an employer asking for UX design might actually be looking for UI design, and vice versa. If you’re a UX UI generalist, you can fit in anywhere and find the job that’s perfect for you. 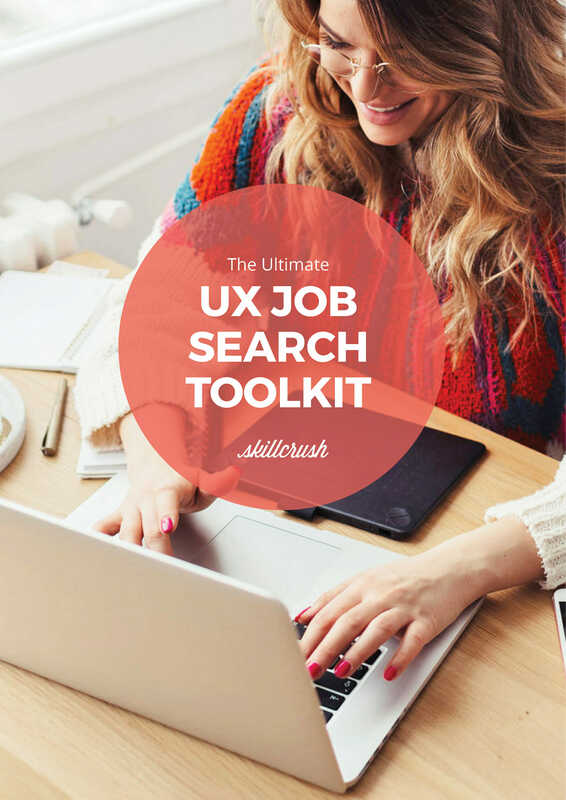 If you’re ready to learn more about how to land a job in UX UI, don’t forget to download our free Ultimate UX Job Search Toolkit from the top or bottom of this page. 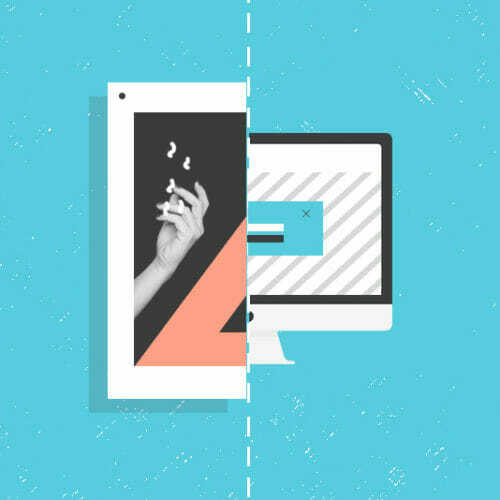 Tech 101: Graphic Design, UI Design, Visual Design, and Web Design—What’s the Difference?